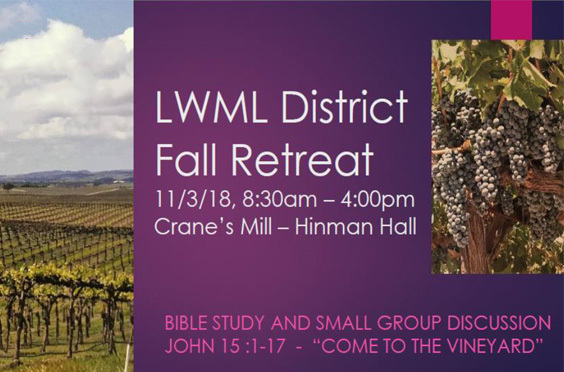 Come to the Vineyard! Join us for fun, food, and bible study. Sara Hanson, 38 Penn Ave, Newton, NJ 07860. Questions or Special Needs? Contact Gay VanEtten at 908-362-0208. Our Gift of the Heart will be CVS, Walgreens, or Walmart gift cards for hurricane victims. If you or your society would like to bring these gift cards, they should be in $10 increments. Our servant event will be putting together “care packages” for our military, to be distributed by LCMS chaplains.